Use our network glossary to find information about technical terms and acronyms that commonly used for network management and security. Lan-Secure Network Security and Management Glossary for real-time windows based monitoring and discovery software scanning tools. Agent is piece of software that installed on remote clients or hosts and receives commands from a manager using special network connection. It could be vulnerable to spoofing or sniffing tools that can implement malicious requests from the agent. Access Point is a wireless device that connects other wireless devices or computers to the network segment. It is usually connects to a wired network and can relay data between wireless devices and wired devices. Bridging Management Information Base is a part of the standard SNMP MIB-2 database that used to manage network switches MAC addresses information. Most of the recent network switches models are supporting this information. Domain Name System is an internet names translator to a human-readable computer hostnames. It allow using unique alphabetical addresses instead of numeric ones and more easily find and communicate with web sites and other server-based services. Errors are the amount of network packets that could not be sent or received by network computer or device. It is typically used for measuring the quality of a physical link connection. Intrusion Detection System is used to detect malicious behaviors that can affect the security and trust of computer systems. It includes network attacks, data driven attacks, host based attacks, unauthorized network activity and any kind of software attacks. IEEE 802.1X is a standard for port-based network access control. It provides authentication for nodes that connected to network port by preventing access from that port if authentication failed and in most cases requires special hardware for protocol implementation. Internet Protocol is a data-oriented protocol used for communicating data across a packet-switched internetwork. It has a unique address that certain electronic devices currently use in order to identify and communicate with each other on a shared computer network. Intrusion Prevention System is a security software or device that monitors network activities for malicious or unwanted behavior and can react, in real-time, to block or prevent those activities. When an attack is detected, it can drop the offending packets while still allowing all other traffic to pass. Local Area Network is a computer network that located in specific geographic area. It is commonly comprised of several computers that connected through network switch or hub to exchange data between them. Media Access Control is a data communication protocol that provides addressing and control mechanism for several network nodes to communicate on the same segment. It provides physical address which is a unique serial number that assigned to the network adapter. Messaging Application Programming Interface is windows architecture for sending messages. It is typically used for sending email messages in windows environment using the standard or organization-based applications. Management Information Base is a type of database used in SNMP protocol for manage devices in a communications network. It comprises a collection of objects used to manage network entities. MIB-II is the standard and minimal database collection that SNMP device must support. It comprises a collection of objects that used to manage the common device communication parameters. Network Access Control is a set of security rules that used for control the access of unsafe nodes to the network. It is also used to enforce organization security policy rules by preventing unsafe nodes from accessing the network before network access is allowed. Networking is concerned with communication between computer systems or devices. It is based on standard protocols that give the ability to exchange data between various types of networks and computer systems. Simple Mail Transfer Protocol is a standard for e-mail transmissions. It is include with one or more recipients and a message that transferred to a remote server using client and server queries and responses. Simple Network Management Protocol is a standard of IETF that used to manage network devices. It consists of a set of database objects that is used to query information about the network devices condition, operational status and statistics. SNMPv3 is an improved version of the IETF SNMPv1/2 standard that primarily adds security and remote configuration enhancements. It has authentication and encryption capabilities as well as multiple levels of management for highly secured networks. Structured Query Language is a database language that designed for retrieval and management of database relationships. It is typically used to select and update information from a structured database. Secure Shell is a network protocol that allows data exchange over secure encrypted connection between computers. It is typically used to log into a remote machine for executing operating system commands. syslog is a standard protocol for forwarding system log messages. 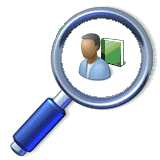 It is typically used for computer system management and security auditing and can be used to integrate logging data from many different types of systems into a central repository. TELecommunication NETwork is a protocol that used to create interactive client server session. It is using a username and password to log in and execute operating system commands on the remote network device. Threat is the risk of specific computer to the systems in its environment. It may cause a malicious network activities or intrusion attacks that can result in severe damage to other computer systems or devices. Trunk is a network port that is used for interconnecting between network switches. It is typically use multiple network cables or ports in parallel to increase the link speed beyond the limits of any one single cable or port. Usage is the relative amount of traffic/speed that is sent or received by network computer or device. It is typically used for measuring the network activity of computer system relative to their maximum network interface speed in percent units. Utilization is the absolute amount of traffic that is sent or received by network computer or device. It is typically used for measuring the total network activity of computer systems in bits/second units. Virtual Local Area Network is a group of hosts with a common set of requirements that communicate as if they were attached to the same wire, regardless of their physical location. It allows for end stations to be grouped together even if they are not located on the same segment. Vulnerability is the weakness of specific computer to attacks from its environment. It may result from open services or ports that left unprotected and may allow an attacker to bypass access control checks or execute commands on the computer. WLAN is a local area network which links computers without using wires. It uses radio waves for communication between the computer network cards and access point concentrator which connect them to the network segment. Windows Management Instrumentation is a set of extensions that provides an operating system interface for information and notification. It is preinstalled on all newer windows platforms and allows collecting and managing operating system information through scripting languages.